The below images do not show two different views of the same house; they show two separate but very similar homes in historic Walterboro. 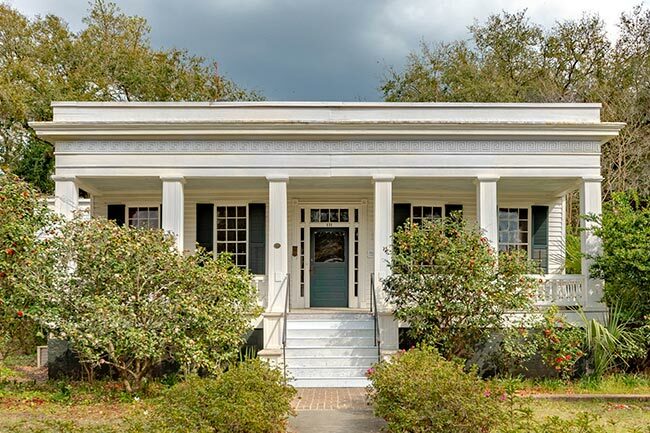 The twin houses were built by Mr. Albert Wichman, a nineteenth-century German immigrant and businessman who established the Walterboro Hotel in the 1880s. He and his son, R.H. Wichman, also operated the mercantile, A. Wichman and Son. Following Wichman’s death in 1909, Wichman’s son revitalized the hotel as the Lord Albert Hotel, commonly known as the Hotel Albert. Father and son also operated the Farmers and Merchants Bank. 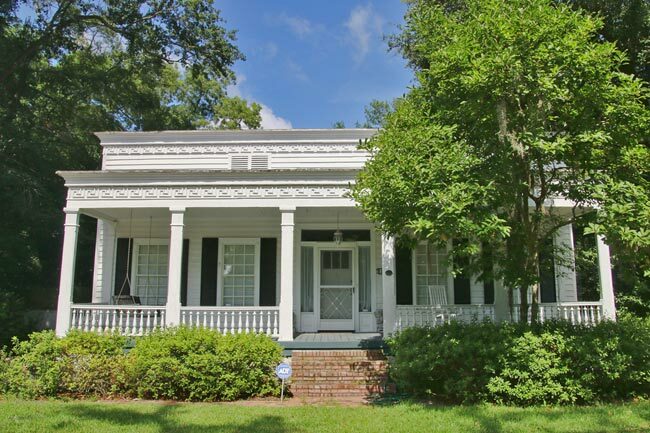 These Greek Revival houses were built in 1889 on adjacent lots and are known for their flat roofs and entablatures featuring Greek key designs. The twins actually have an older sister, the Paul Hamilton Fripp House, built in 1848. 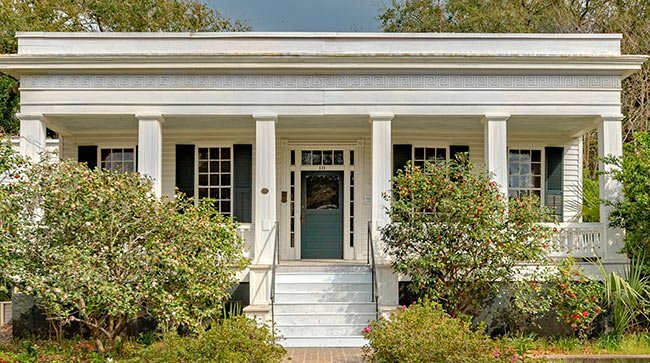 Though not identical to the Wichman houses, the Fripp House also displays a Greek key frieze on its parapet and is similar to the twin houses in shape and size. 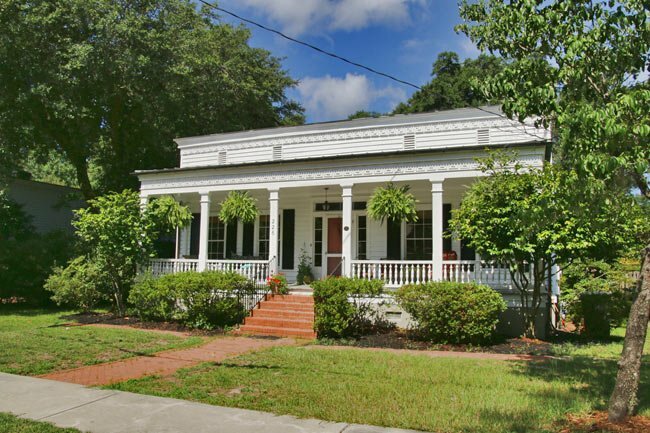 The Walterboro Historic District is a significant collection of properties located near the center of the town of Walterboro. The majority of the properties in the district were constructed between ca.1800 and ca.1945 and represent a wide range of nineteenth and early twentieth century vernacular design. The district is primarily residential in character, but also includes religious, educational, and public buildings. 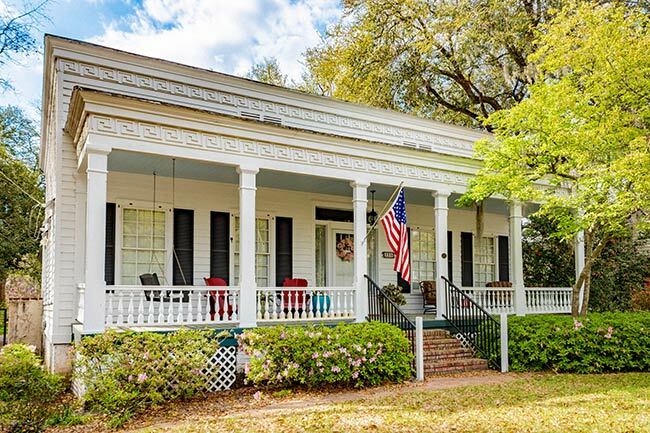 The visual appearance of the district reflects the historical development of the town, which was one of several South Carolina pineland villages settled during the early nineteenth century by planters in search of a healthful climate.